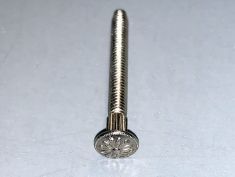 These screws are used to mount a speaker to the cabinet where the head of the screw would be exposed. Unlike a slotted screw, these have a decorative flower design on the head. There's a splined area just under the head that bites into the hole in the cabinet and prevents the screw from turning when the nut on the back is tightened. 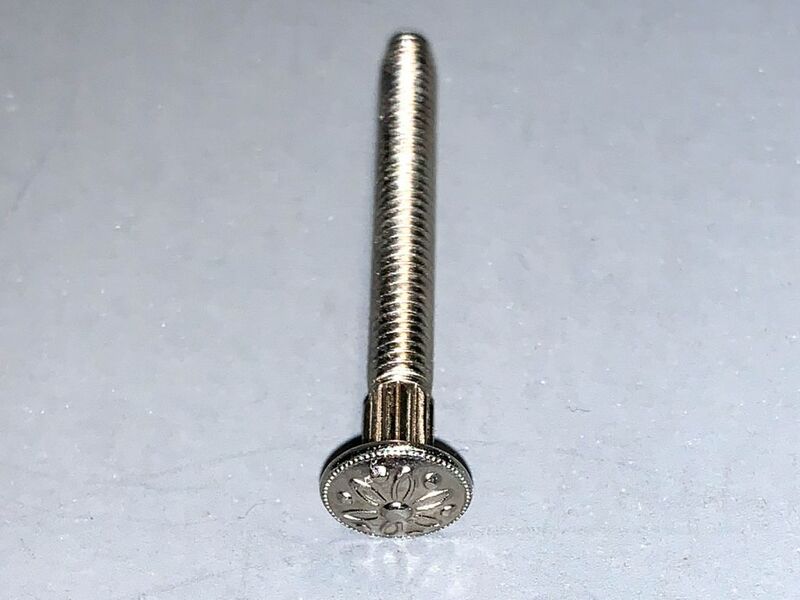 These screws have a dark gray head.